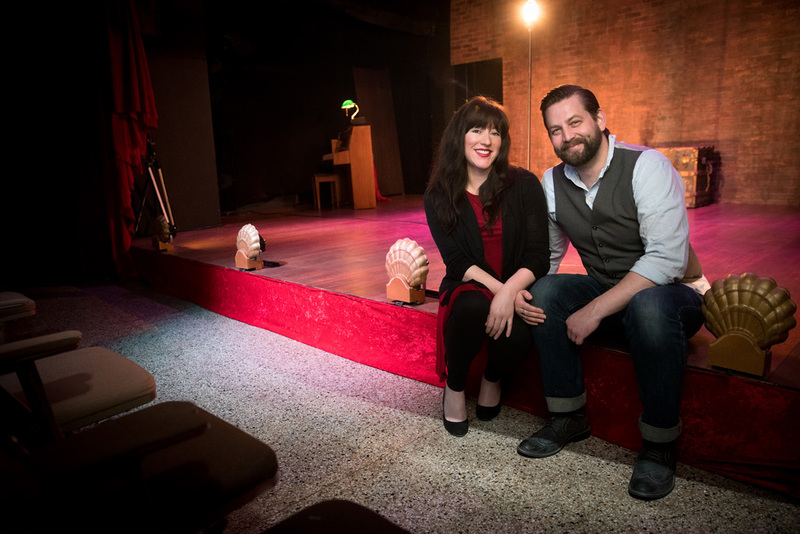 The Living Room Theatre, the imaginative company that works out of a funky warehouse-like building near 18th and McGee, is cruising into the final show of its seventh season. 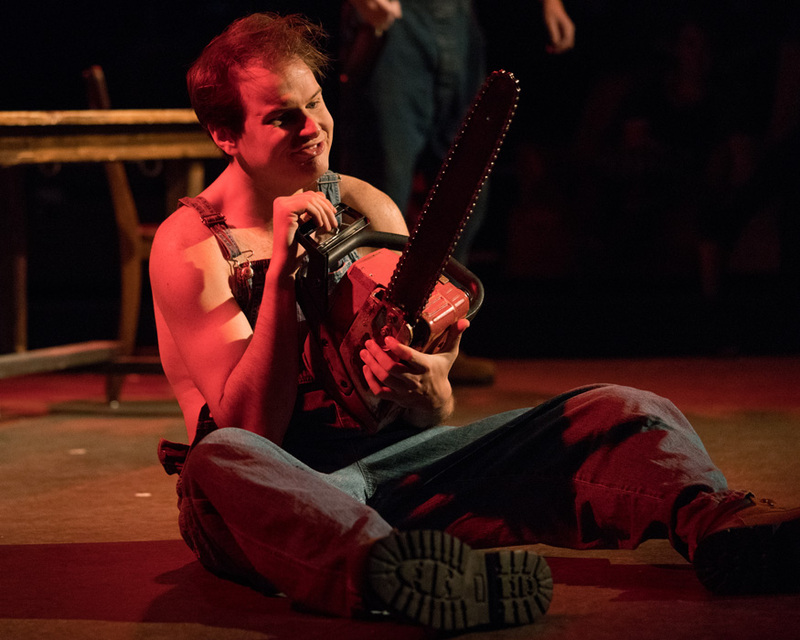 And, true to form, the show is a sight-unseen world premiere: “The Tragedy of Macbeth,” Kyle Hatley’s reworking of Shakespeare’s classic about ambition, murder and guilt into a chamber piece for two actors and a guitarist. Hatley, whose work as a director and playwright has been seen often at The Living Room, is the former associate artistic director at Kansas City Repertory Theatre. Now based in Chicago, he remains on The Living Room’s board and considers the company an artistic home. His take on “Macbeth” caps a 2016-17 season of diverse shows — “The Ballad of Lefty and Crabbe,” an original musical by Brian Huther, Ben Auxier and Seth Macchi of Friend Dog Studios; Ron Simonian’s “Trigger Happy,” a satirical look at political correctness in academia; Sharr White’s “Annapurna,” a romantic drama about a writer and his ex-wife; and the theater’s annual Writer’s Den Series, which began last November and continued through February. The Writer’s Den traditionally begins with No Sleep November, The Living Room’s annual challenge for playwrights, actors and technicians to create a new play from scratch in 24 hours. 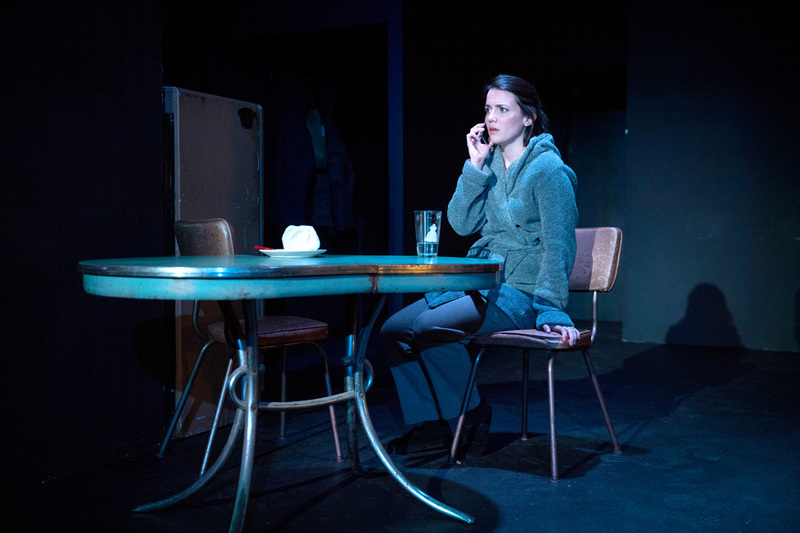 This season the Writer’s Den included readings of both “Trigger Happy” and “Lefty and Crabbe” and a full production of Victor Wishna’s “Shearwater,” starring Peggy Friesen. Here’s what makes the season special: With the exception of “Annapurna,” the entire lineup consisted of original work by Kansas City writers or playwrights formerly based here. And that, according to Living Room co-founder Rusty Sneary, is how the theater has positioned itself among the other established theater companies in town: a full-court commitment to local writers. “Our Writers Den series, in its four years at TLR, has presented at least 50 new works from Kansas City in the forms of readings, 24-hour play festivals, and workshop productions! Nine plays presented as Writers Den staged readings have gone on to be developed and produced by The Living Room in the last four years. Sneary acknowledged that most companies in town, from Kansas City Rep to Melting Pot, have produced original work and have sponsored numerous readings. But The Living Room has a different approach. In an interview, Sneary and Journagan talked about the challenge of producing brand new plays without an advertising budget. The company’s marketing for the most part relies on word of mouth and social media. In retrospect, Sneary and Journagan think that might have been a mistake. “We became a little too obsessed with showing that we can do what every other company does,” is how Sneary put it. “And building sets we couldn’t afford,” Journagan added. Journagan conceded that reaching an audience willing to take a chance on brand new plays is a gamble. “That’s what why we’re getting the word out that that’s what we do,” she said. Hatley said his association with the company has paid big creative rewards. When Hatley decided to try to do “Macbeth” in miniature, he naturally thought of The Living Room. “I wanted to learn how to write something that runs less than 90 minutes and can be staged with less than 900 people,” Hatley quipped. In May, Hatley was working on “Macbeth” at the same time Sneary was directing the world premiere of “The Ballad of Lefty and Crabbe.” It was a heady, creative atmosphere that Hatley suggested was unusual. Ron Simonian, once regarded as a young acerbic playwright with an attitude, now finds himself at the age of 51 attempting a comeback — thanks to The Living Room. Simonian’s plays have been staged at the Unicorn and other local venues, as well as in Chicago and New York. But he was absent from the scene for several years while he focused on raising his son, who is now in college. In the 2016 edition of No Sleep November he found himself alongside playwrights half his age who had never heard of him. The great thing about The Living Room in Simonian’s view: You can write a play and see it staged in a few months. Many playwrights these days suffer through “development hell” and might not see a full production of a new play for years. Simonian said he hopes to continue his association with the company. “It’s a great home base and they take care of their writers really well,” Simonian said. At the time of the interview, Sneary and Journagan had not finished assembling a 2017-18 season. “The Tragedy of Macbeth,” featuring Kyle Hatley, Natalie Liccardello and Sean Hogge, opens in August at The Living Room, 1818 McGee St. For specific performance dates go to www.thelivingroomkc.com or call 816-533-5857. Robert Trussell is a veteran journalist who has covered news, arts and theater in Kansas City for almost four decades.